Isabel and Gabrielle were on a mission to make their home "for sale ready". 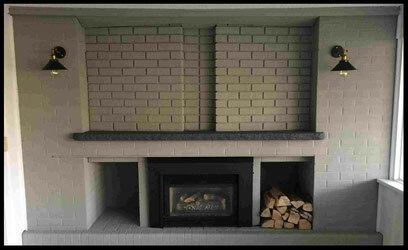 This included dealing with a basement room with a brick fireplace and concrete mantle and hearth. 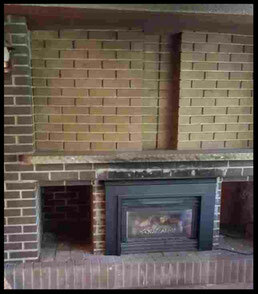 The brick and stone were in good shape but needed to be cleaned up and given a more modern look. Coached by Upper Village Paint & Wallpaper manager Judith, they began their transformation by first sweeping and vacuuming the surfaces. Then, to achieve the best possible result, they spot-cleaned stained areas and degreased and washed the soot stained mantle. Brick can be painted but not without first sealing the porous surface with primer. Under Judith's tutelage, Isabel and Gabrielle opted for an elegant and simple solution, if slightly unusual. They selected their colours (HC-105 Rockport Gray, 2121-10 Gray) and painted all brick and stone surfaces, not with primer and paint, but with Benjamin Moore Arborcoat Solid Stain. 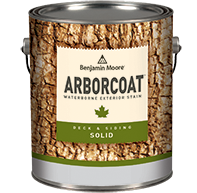 Arborcoat, most commonly known as an exterior stain for wooden fences and decks, can also be used inside on stone and brick. Primer is not needed, because the stain will sink into and seal the porous brick (2 coats), covering and colouring while retaining the brick's texture. Did you know that Arborcoat Solid Stain can also be used on exterior house stucco, concrete stoops and sidewalks? PARALLEL PARKING - East side of the store on Glenarden Rd.